4.0 out of 5 starsA very cool book despite the real issues that give the reader problems .. While the criticisms of the other reviewers concerning the editing of this book are valid, it is still a fabulous book. If you can get around the typos, some of the confusing shorthand used and other formatting problems, like with the font, this is really a great book for learning the Sicilian language. While the book by Cipolla is the standard reference it would seem, it is a hard book, heavy to lift, with dense pages and this book is a nice introduction to the language without having to tackle Cipolla. After reading this book cover to cover, I feel better prepared to take on the Cipolla book. This book is nicely put together in the sense that it is lightweight and easy to read, yet full of valuable information. It would be easy to get to 5-stars for this book with some basic editing and especially checking for real errors which will be hard to find for the beginner. 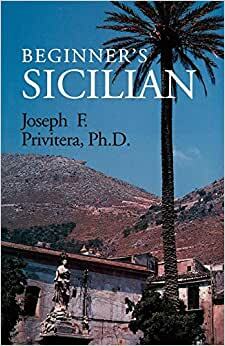 I am in the process of working through Dr. Privitera's language book, Beginner's Sicilian. I'm finding it extremely good and useable. 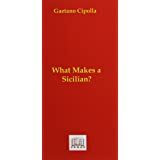 Sicilian is not an easy language, especially if you know some Italian and try not to get confused between the two. I will be travelling to Sicilia next month if all goes well, and hope to learn enough to get by. I strongly recommend Dr. Privitera's book, and just wish it came with a CD to hear the pronunciations (there is a lot on the Internet). It is kicking the dust off old memories of my grandparents' and parents' dialogues years ago, so that I get a real thrill working with this book. Piaciri di conuscirivi! This book is an excellent overview of the Sicilian language/dialect, but it is NOT designed as a "traveler's guide" to the language. The lessons are set up in an "immersion approach", providing the Sicilian dialog and THEN following with an English translation; so, it is a little hard to get started. But, once begun, the progress flows quickly and an elemental grasp of the language soon follows. It is not full of "traveler phrases", but the understanding the reader gains from study of the book should provide ample capability regardless of their original intent. 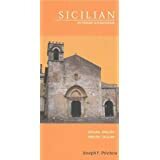 I have a basic knowledge of Sicilian and this book is helping me to further my understanding of the language.